I'm writing to inform you all of some disturbing plans that I have just learned about for the James Ford Bell Museum in Minneapolis, Minnesota. Many of you may know that the Bell Museum possesses what are, arguably, the most magnificent collection of natural history dioramas done by the great wildlife and bird artist, Francis Lee Jaques. Also represented in this priceless diorama collection, are the contributions of Louis Agassiz Fuertes, Robert Bruce Horsefall, Charles Abel Corwin, and pioneer diorama designer, famed Ornithologist and early conservation activist Frank Chapman. 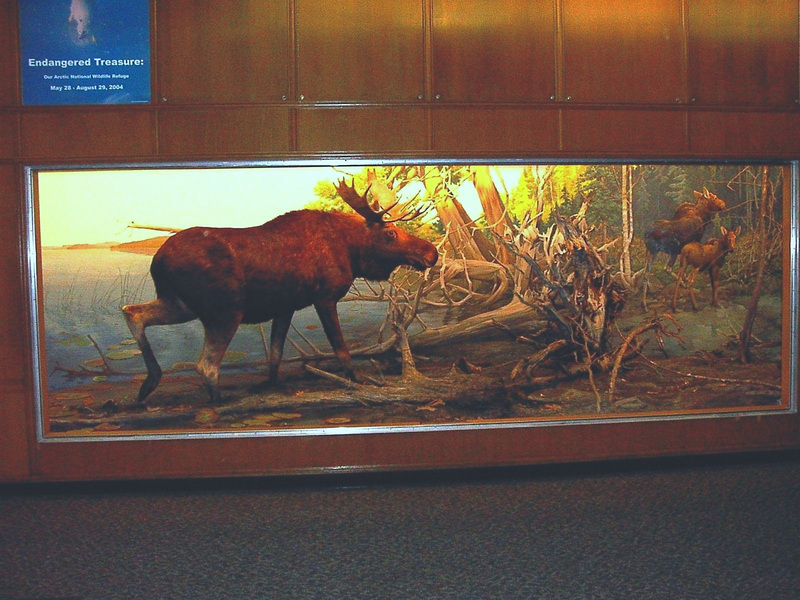 Late in his career at AMNH, Jaques assisted in the design of the Bell Museum building to facilitate and assure its primary objective of optimum display for its dioramas and, through the 40s and into the 50s, designed, directed construction of, and painted the backgrounds for a series of dioramas that can be considered his best. I say this because Jaques was originally from Minnesota, grew up on its prairies, north woods boundary waters, and hunted waterfowl on its, then, vast and wild wetlands. As they all feature the places that Jaques knew and loved so well, they are infused with his passion and a vitality that is not as apparent (if that’s possible) in his other works. The scenes, actual sites which he and the Bell staff, visited in the wild and slavishly duplicated within the museum, today stand as records of environmental change as they can all be revisited to document habitat loss or preservation. These scenes of thousands of Snow Geese over wind swept marshes, Sandhill Cranes alighting on a spring prairie meadow, or majestic Moose in the northern lake country all evoke such a compelling illusion and sense of place and personal presence that one is struck by the ABSENCE of the cries of the birds or the chill of the north wind on one’s cheek when standing before them. They are masterworks of natural history diorama art! 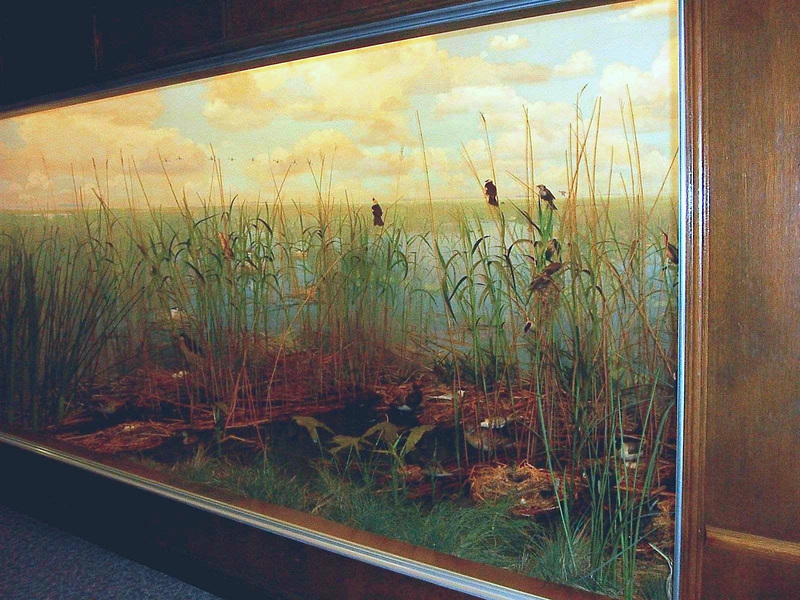 Scott Simon talks with Stephen Quinn about the career of museum artist Fred F. Scherer, who painted the backgrounds of many of the well-known dioramas at the American Museum of Natural History. Time may be running out for a pair of bald eagles in Ridgefield Park, N.J. For the past three years, the eagles have made their home in a large nest high atop a group of old cotton-wood trees near Route 46. Stephen Quinn, with the local Environmental Commission, has been monitoring the birds' movements since they arrived in 2010. The Quinns are part of a quiet, invisible movement of homeowners across the country who take steps to ensure their yard is more than a patch of green — that their little piece of nature serves as a vital oasis for wildlife amid the sprawling asphalt of suburbia. The Quinns may be among the extreme wing of environmental-minded homeowners, but their project has drawn praise from neighbors and local politicians. Stephen and Linda Quinn are in the process of transforming the property beside their Highland Place home into a certified Backyard Wildlife Habitat. 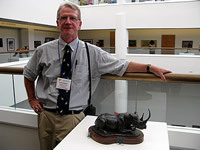 On September 10, 2010 Stephen Quinn was inducted into the Explorers Club. Founded in New York City in 1904, The Explorers Club promotes the scientific exploration of land, sea, air, and space by supporting research and education in the physical, natural and biological sciences. The Club's members have been responsible for an illustrious series of famous firsts: First to the North Pole, first to the South Pole, first to the summit of Mount Everest, first to the deepest point in the ocean, first to the surface of the moon. On November 8th, 2010, Stephen Quinn was granted the great honor of carrying the Explorers Club flag on his expedition to Mt. Mikeno in the Democratic Republic of the Congo. The EC flag represents an impressive history of courage and accomplishment, and has been carried on hundreds of expeditions by Club members since 1918. A flag expedition must further the cause of exploration and field science. Stephen Quinn's Black Rhino sculpture was accepted into the 50th annual show of the Society of Animal Artists at the San Diego Museum of Natural History where it received the Hiram Blauvelt Art Museum Purchase Award. The piece was purchased by the Hiram Blauvelt Museum of Art and is now part of the museum's permanent collection. 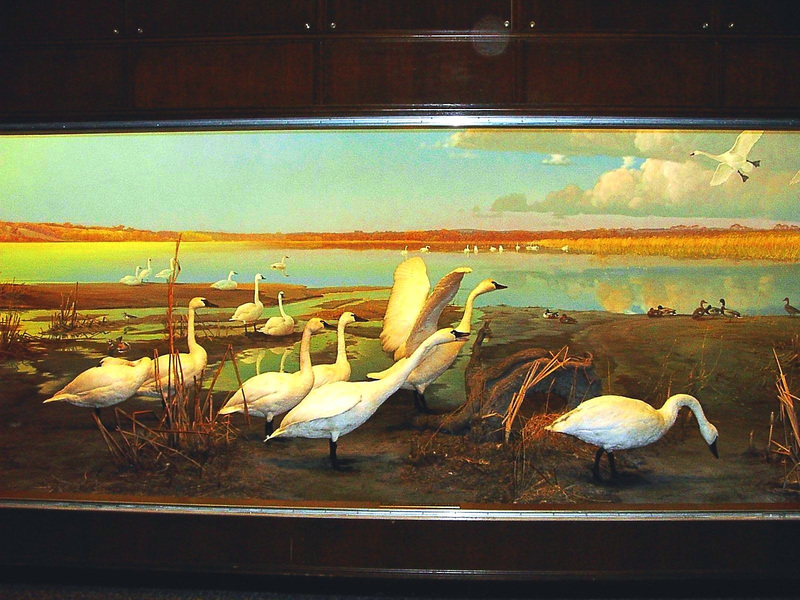 The Hiram Blauvelt Museum of Art is the preeminent museum of wildlife art on the east coast. 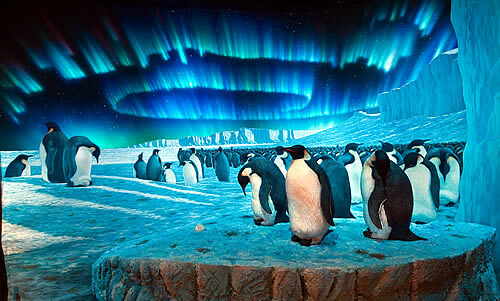 Stephen Quinn's Emperor Penguin diorama which is part of the AMNH exhibition "Race to the End of the Earth" was accepted into the Artists for Conservation Foundations's virtual online show in the wildlife art genre. This is perhaps the first diorama background painting to appear in a group show. The scene is based on the references made by Edward Wilson who accompanied Robert Falcon Scott on his ill-fated expedition to reach the South Pole in 1911. The stars and the aurora are accurately plotted for what Wilson would have seen during his visit. In September 2011, Stephen Quinn will be leading a trip to the Galapagos Islands through the American Museum of Natural History's Educational Expeditions Travel Program. He will be serving as naturalist, lecturer, and museum host.